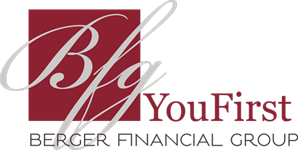 A primary Berger Financial Group Tax Advisor & CPA, Andy helps our clients minimize tax burden both in the current year, but also over the coming decades. Prior to BFG, Andy spent six years in corporate accounting for a large agribusiness company in the Twin Cities. Prior to that he spent the first seven years out of college at a regional public accounting firm preparing and reviewing individual and small business tax returns. Andy graduated in 2002 from North Dakota State University in Fargo with a B.S. in Accountancy and received his Master of Business Taxation degree from the University of Minnesota Carlson School of Management in 2008. 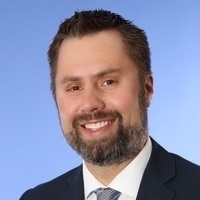 He is a member of the Minnesota Society of CPAs and an active volunteer with a local nonprofit Volunteer Income Tax Assistance (VITA) program. In his free time, he enjoys spending time at home in Minneapolis with his wife Carrie and their three dogs. Andy's personal interests include training for and running marathons as well as playing in several rec-league sports. He and his wife are also avid Twins fans and season ticket holders and enjoy getting out on the road to visit other ballparks across the country to watch them play.